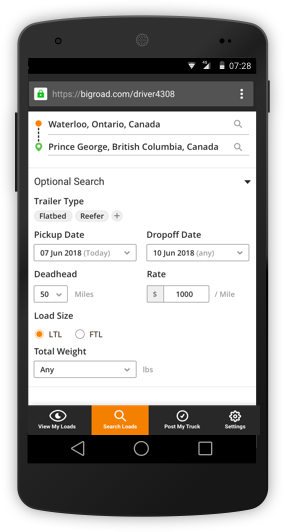 If you don't see any matches in View My Loads or want to see additional load opportunities, run a search. 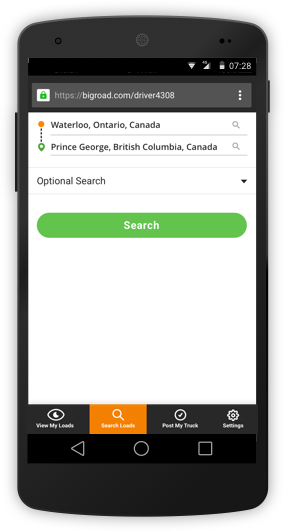 Simply enter your origin and destination and hit search. Remember to Search often - new loads are posted throughout the day!